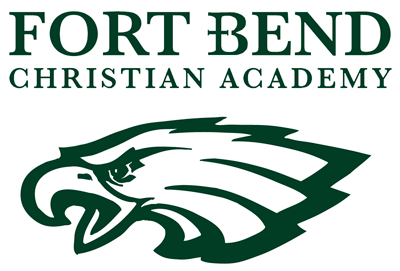 Fort Bend Christian Academy, offering Pre-K through 12th grades, is one of the premier accredited private schools in Sugar Land. The school’s mission is to glorify God through excellence in college preparatory Christian education, equipping students to thrive spiritually, academically, socially, and physically. With its beginnings in 1987, FBCA has grown to one of the largest private schools in Houston, FBCA houses elementary and middle school children in the South Campus while the North Campus is home to high school students. St. Laurence Catholic School is fully-accredited through the Texas Catholic Conference Department and has over 700 students in Pre-K through 8th grades. The school's mission is the development of the whole Christian person. Children are prepared to relate positively with the larger society by providing a program of Christian values, strong academics, social skills, and community service. Just as the Holy Trinity permeates the life of the Church, the personal relationship of parent, child, and educator gives life to St. Laurence. St. Laurence Catholic School’s facilities were expanded in 1996 and 2002. The educational facility features academic classrooms, art rooms, a dedicated acoustical band room, science labs, cutting edge computer and technology labs, Smart Board technology in classrooms, the Chapel of the Divine Mercy, a gymnasium, storage areas, and a dining area. St. Theresa’s Catholic School offers classes Pre-K 3 through 8th grade. As a Classical Catholic School, St. Theresa Catholic School is governed by a distinctive academic philosophy calculated and proven to engender success. "Solid academics are key to any successful private school. What sets Cornerstone Christian Academy apart is our solid academics combined with the Biblical principles upon which our mission is founded. Beginning in pre-k, students are challenged to think critically, to analyze the world around them and to continue developing their relationship with Christ. As they continue through elementary, middle, students continue to be seekers of truth and workers for social justice."